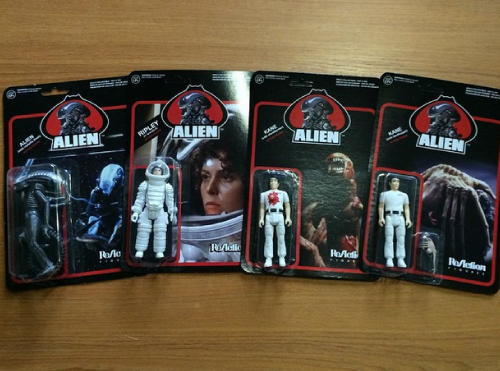 At last, the second series of Alien ReAction Figures is here! Following the hit first series of classic Alien ReAction Figures, the line continues with Ripley in Spacesuit, Kane with Facehugger, Kane with Chestburster and Metallic Alien! Now you can relive even more exciting action from the classic Alien film with these all-new sturdy plastic ReAction Figures. New Mummy Boy and Hollis Turd!